Learn the effective techniques the counselor can use to impact client success and empower clients. The authors outline five steps for goal setting including scripted examples, discuss identifying the stages of change and how to apply them in practice. They define motivational interviewing and discuss guiding principles and techniques for using it including open ended questions, affirmations, reflective listening and rolling with resistance. Already have the book? Under “Product Options” simply choose “Certificate Only” to purchase the CPE Self-Study Program. Determine how to structure counseling sessions to empower the client to be self-efficient. Identify client readiness for change and be able to determine the stages of change the client is in at the time of counseling. Guide the client through the steps of setting and achieving goals. Utilize decision making tools and processes. Successfully apply techniques of motivational interviewing. Understand various conditions contributing to bias and how to appropriately address them. Understand how to screen for mental and emotional issues and know when to refer to experienced practitioners. Understand the role of the counselor and the patient. Implement appropriate interviewing and counseling techniques. 1.3.1 Applies strategies that engage the customer in a collaborative approach. 4.1.5 Recognizes situations where services provided to a customer should be adjusted, limited, modified, or discontinued. 9.1.3 Identifies and analyzes factors that influence behavior change. 9.6.1 Determines and applies counseling theories, psychological methods and strategies that empower customers to make changes. Additional Learning Needs Codes and Performance Indicators may apply. Ann Constance, MA, RD, CDE has worked in a variety of settings including hospital, cardiac rehab, outpatient and clinic. She currently serves as the Director of a community based diabetes program that works to strengthen diabetes care and support across a rural 15 county area. In addition, she acts as a consultant on a variety of health care projects. Ms. Constance has also worked as a seminar leader across the country and has delivered many presentations at state and national conferences and for community groups. Along with Cecilia Sauter, Ms. Constance authored the book used in this course – Inspiring and Supporting Behavior Change: A Food and Nutrition Professional’s Counseling Guide. She also co-authored the Northshore Diet, a book with healthful eating tips and recipes for the general public, and has had several articles published in peer reviewed journals. Cecilia Sauter, MS, RD, CDE has over 17 years of clinical dietitian and diabetes educator experience. She has worked in a variety of settings including community outreach clinics, hospitals and as the coordinator for the outpatient diabetes education program at a large teaching hospital. She currently serves as the project lead in training nurses, dietitians and PharmDs in helping patients with chronic diseases set self-management goals as well as developing education programs on chronic disease management of heath professional staff. Ms. Sauter is an experienced lecturer, presenting educational programs in a variety of settings. 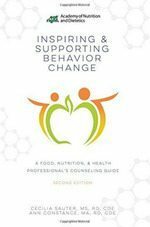 Along with Ann Constance, Ms. Sauter authored the book used in this course – Inspiring and Supporting Behavior Change: A Food and Nutrition Professional’s Counseling Guide. 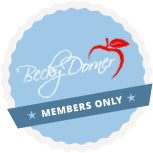 In addition, she has served on the board of the American Association of Diabetes Educators, acts as a reviewer for The Diabetes Educator and has been involved with other diabetes editorial boards.